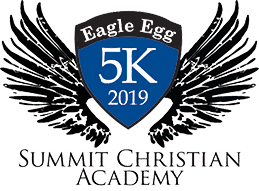 Summit Christian Academy (SCA) is an independent, nondenominational Christian school located in the Kansas City, Missouri, area serving 825 students from preschool through 12th grade. The academically rigorous, college preparatory curriculum of SCA challenges students at all grade levels and students who attend SCA perform 30% better than the national average on standardized tests. SCA is fully accredited by the Association of Christian Schools International and the North Central Association. SCA provides an outstanding educational experience for all students that educates the whole student - spiritually, emotionally, mentally, socially, and physically. Led by a team of Christian educators and staff, Summit Christian Academy works with parents to raise godly children in a rigorous academic and college preparatory environment. Please contact the Summit Christian Academy office with any questions at 816.525.1480.